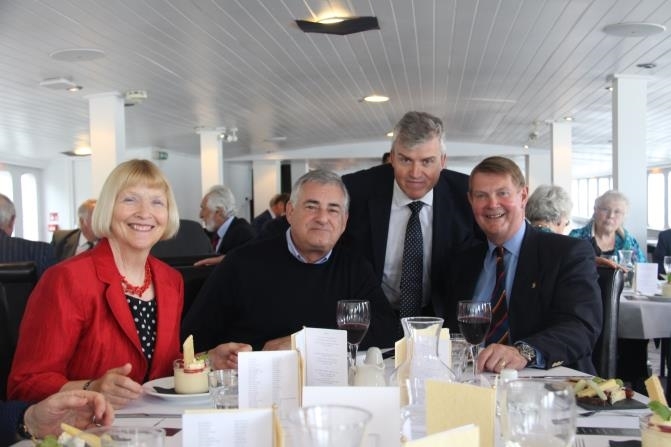 Lots of smiles and happy chatter were the order of the day on board the Restaurant Ship Hispaniola for the Aldenham Regional Lunch in London on Wednesday 17th May '17. This event attracted a great turnout of OAs and former staff, aged between 23 and 85. There were - 49 people in total and guests shared memories and heard from the Headmaster about how Aldenham continues to thrive. The OA Society President took the opportunity to thank members for their continued support to both the School and their alumni organisation, which enables them both to flourish. Pictures taken on the day are available to view and download in the event Galleries and on the OA Society Facebook page.